Mentoring stimulates individual careers as well as the campus as a whole The criteria that are necessary to succeed in science are given and have to be fulfilled. The path to success, however, is a broad playing field in which professional mentoring can be extremely valuable. The kick-off event for the third round of the program dynaMENT “Mentoring for Women in Natural Sciences” clearly demonstrated, how fruitful a structured program can be. Partly humorously, partly critically and very personally, some of the 15 mentees from the second round shared their experiences with the 60 guests in the Center for Free-Electron Laser Science and whetted their 16 successors’ appetite for an intensive year. Christina Bömer, mentee and graduate student at the European XFEL, is used to being the only woman in her research groups. So what a strange encounter her start into the program was: stepping into a room full of young, motivated, ambitious and enthusiastic female scientists. “We were able to exchange experiences, ideas and future plans. We discussed science as much as we did society – and how to best change both of it,” she recalls. DESY postdoc Dr. Pardis Niknejadi emphasized how important it is to learn from someone who successfully balances family life and her career, who knows about alternatives and resources and who can help to identify strengths and weaknesses and the interplay of internal and external conditions. However, one of the important lessons she learned was that as a scientist, a leader, a negotiator it is best to follow one’s instincts. Anika Ostermaier-Grabow, who has organized the program, thanked the participating partners and the whole group: “What moved me most were the lively debates and exchange within the group – they really appreciated each other. This group established a close network by themselves.”. The many contributions made in greetings, personal accounts or the panel discussion clearly showed how much the program has stimulated individual career paths and the campus as a whole: “I hope with mentoring we can convince our young female students that a career in science is a rewarding career path,” said Prof. Heinrich Graener, dean of the MIN faculty at Universität Hamburg. DESY scientist Dr. Jenny List described a true win-win-situation for mentors and mentees and emphasized the program’s networking character that allowed her as an experienced scientist to learn from the younger generation and meet scientists from other fields and groups on campus. 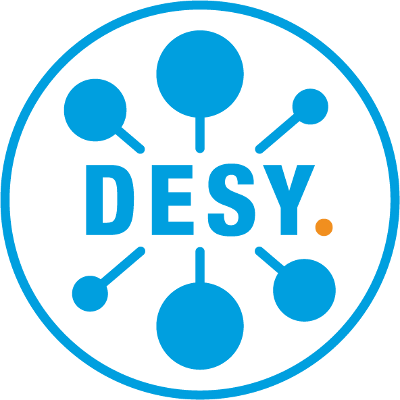 Prof. Joachim Mnich, Director in charge of Particle and Astroparticle Physics at DESY shared a similar thought: “The program is a great example of a successful collaboration between different partners on campus.” “dynaMENT really enriches the campus,” Prof. Simone Techert, who is a leading scientist at DESY and professor at the University of Göttingen, said. “It’s not only about promoting science careers but also about respect – respect towards female researchers. Respect is what Dr. Angelika Paschke-Kratzin demonstrated. The Equal Opportunity Commissioner of Universität Hamburg presented the certificates to last year’s mentees and also thanked their mentors with a bunch of flowers. At the same time eight new mentors were welcomed. Prior to the event the 16 new mentees had already met; some of them took the chance now of getting in touch with their mentors.